Let’s take a closer look at some of the impressive health benefits of this delicious type of cooking oil. Cholesterol Levels:Unlike many other vegetable oils, peanut oil is actually free of any cholesterol, which is one of the major contributing factors to complicated heart conditions such as atherosclerosis, which is basically clogging of the arteries. Since cooking oil is used in many different ways, eliminating this dangerous cholesterol from your body can help prevent a variety of health complications. Furthermore, not only does peanut oil lack cholesterol, it can actually reduce your current levels of cholesterol due to the presence of plant sterols. These phytosterols actually compete for cholesterol absorption in the stomach and gut, which can lower your cholesterol levels by 10-15%! Heart Health: Lowering your chances of atherosclerosis, as explained above, can reduce your chances of heart attacks and strokes. However, peanut oil also contains monounsaturated fatty acids, like oleic acid, which increase the levels of “good cholesterol”, called HDL, in the blood. This beneficial cholesterol actually helps to scrape off and reduce bad cholesterol (LDL) and lower your chances of coronary heart disease and strokes. Cancer Prevention: Peanut oil also has high levels of polyphenol antioxidants, including resveratrol. This compound works to eliminate free radicals, which are the dangerous byproducts of cellular metabolism that are responsible for a huge range of diseases in the body, including cancer. Studies have shown that switching to a vegetable oil high in resveratrol, like peanut oil, can decrease your chances of developing cancer thanks to this powerful antioxidant. Blood Pressure: Resveratrol has another important function in the body. It interacts with various hormones in the body that affect blood vessels, like angiotensin, which constricts vessels and arteries. By neutralizing the effects of that hormone, resveratrol helps todecrease blood pressure, which reduces stress on the cardiovascular system. Cognitive Boost: Alzheimer’s disease is one of the most widespread and tragic conditions that affect people as they get older, but resveratrol, that multi-functional antioxidant, has also been shown to eliminate or slow the onset of cognitive disorders like Alzheimer’s disease and dementia. Free radicals are responsible for the breakdown of neural pathways in the brain, so antioxidants like resveratrol can slow or stop that process very effectively. 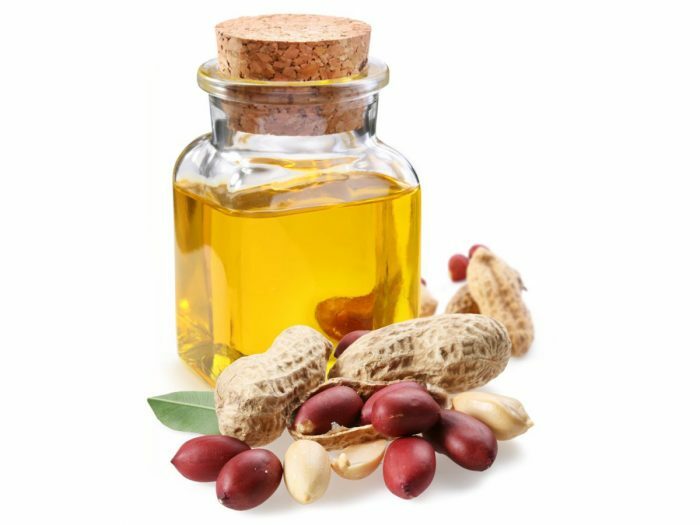 Skin Health: Peanut oil, like many vegetable oils, is quite rich in vitamin E, which is an essential vitamin for human beings. It is particularly important in the maintenance and health of the skin, protecting it from the effects of free radicals that cause wrinkles, blemishes, and other signs of premature aging. The vitamin E in peanut oil will keep your skin looking young and healthy as you get older. Immune System: A final benefit of the impressive levels of resveratrol in peanut oil is the improvement of yourimmune system. Viral and fungal infections are particularly susceptible to this antioxidant, so adding peanut oil to your diet can keep you healthy in yet another way, by stimulating your white blood cell production to fend off any foreign agents in your body.